Since the New York Rangers acquired forward and Stanley Cup Champion Daniel Carcillo from the Los Angeles Kings on January 4th in exchange for a 7th round draft pick, the team has gone 11-4-0. In that span, New York has produced two separate 3 game win streaks and a 4 game win streak, New York’s best of the season. 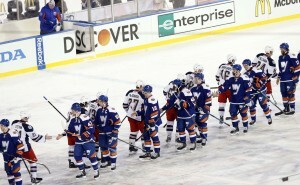 Carcillo boasts a game winning goal and a team-leading 28.6% shooting percentage for the Rangers in 15 games played. 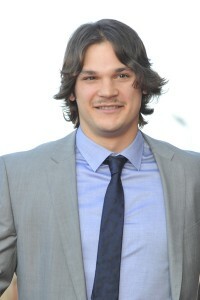 Carcillo additionally sports a 4th line-leading average of 1.975 hits per game. Prior to Carcillo joining the lineup, the Rangers 4th line averaged .556 points per game (45 points averaged over 82 games.) Since Carcillo joined the team, however, the 4th line has averaged .663 PPG (54 points averaged over 82 games.) Prior to Carcillo’s insertion in the lineup, the Blueshirts averaged 2.386 goals per game. Since acquiring Carcillo, that number has risen to 3.13 goals per game- a 61 goal difference averaged over 82 games. Additionally, although his career average over the regular season is .243 PPG, that number increases to .324 PPG in the playoffs- the difference between 2.268 and 1.7 points over the course of a 7 game series. 50% of his goals have been game winners for the Rangers (though to be fair, he’s only scored two) securing a victory in the Stadium Series game against the New York Islanders on January 9, 2014. A prominent concern throughout Carcillo’s career has been his propensity for amassing penalty minutes. During his tenure with the Rangers, however, he has drawn 6 penalties for his 5 taken, only one of which was a 5 minute fighting major. In addition to distancing himself from his reputation as a liability, Carcillo has presented an efficacious defensive game. During the 2013-14 season (including 26 games played with the Kings) Carcillo’s goaltender has a .934 save percentage while he is on the ice, an impressive feat considering the fact that he receives the highest percentage of his starts in the defensive zone (42% compared to 41% in the neutral zone and only 17% in the offensive zone.) Carcillo leads all Rangers right wings in defensive zone start percentage and ranks 3rd on the team after line mates Boyle and Moore in this category. He still boasts a +1 rating, one of 7 Rangers forwards with a plus-minus rating over zero. While the improved play of the Blueshirts since January is likely not due solely to Carcillo, the intangible dimensions that a player of his ilk brings to a team is the highest value provided. 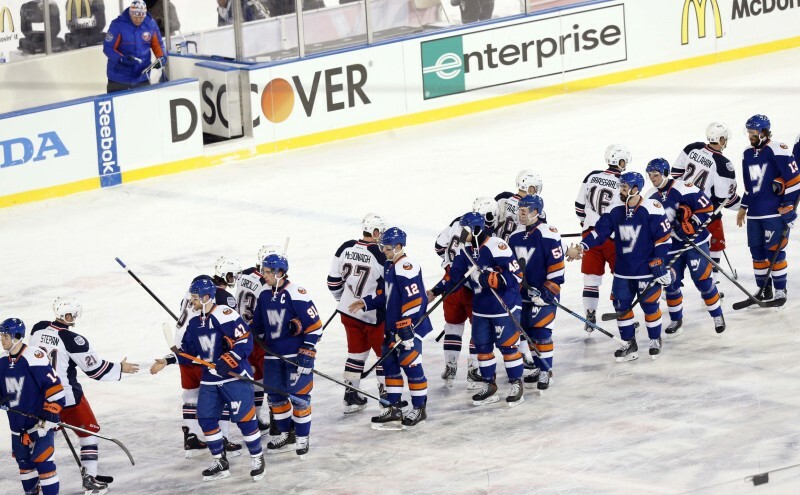 Think of the impact that fellow agitator Sean Avery made in New York during his tenure; it was difficult not to have flashbacks of #16 during the Rangers January 24 tilt against the Philadelphia Flyers, for instance. In his most noteworthy performance of the season, Carcillo not only scored on a wraparound attempt against Ray Emery 2:14 into the first period, he also drew 3 total penalties- a roughing minor and fighting major against Luke Shenn, and a 10 minute misconduct against top 6 forward Wayne Simmonds. The fighting major against Schenn occurred at 7:45 of the first period, a spirited scrap in which Carcillo was outweighed by 29 pounds.